Okay, so you’ve rented an awesome Sailo boat! You’ve learned about the art of the #SailoSelfie. Now, the BIG question: what will you wear at sea? 1. Maybe the better question is what won’t you wear? Go barefoot! Winter is finally a thing of the past so shed your layers and live a little. Feel free to go barefoot aboard Sailo boats. In fact, many captains encourage it. Did you know that our naked feet actually provide great grip and flexibility? Plus, you’ll automatically look effortless…in a chic way of course. 2. 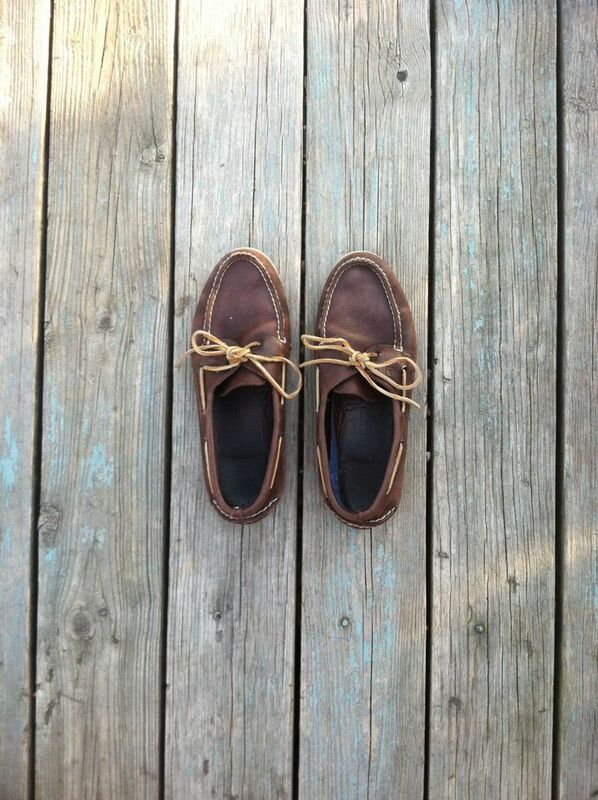 But Sailo completely understands if that’s not your style, so the obvious answer is boat shoes. A pair of beaten-up Sperry Topsiders is a must. Nothing screams boating like white, non-marking soles and sea-torn leather. Choose the traditional brown leather (below) or fun color combos for a bit more flair. Besides for protecting your eyes from the radiant sun, a pair of classic aviators or wayfarers adds the finishing touch to any look even if they’re simply sitting atop your head. Or, why not jump on the colored mirrored sunglasses bandwagon? 4. Rock the boat with a sailor blue and white striped shirt. 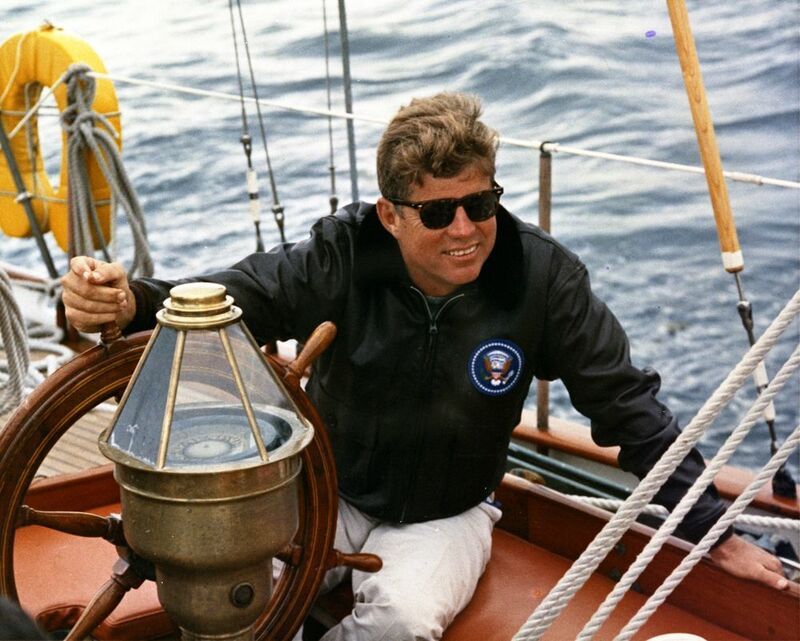 The “Breton” shirt is timeless and gives off a certain elegant and seafaring je ne sais quoi. Fun fact: naval sailors originally wore the design so they’d stand out from the waves if they…fell overboard. Sailo loves this nautical top for both men and women. 5. I just so happens that Sailo’s fav color combination is a very patriotic red, white, and blue! White shorts or pants with a navy shirt is always a safe-bet. Throw in a touch of red to your outfit, like a belt, and you already look the part! After all, the best fashion statement this weekend is an American flag. Whether worn on your shirt, belt, shorts or flip-flops, you can’t go wrong. 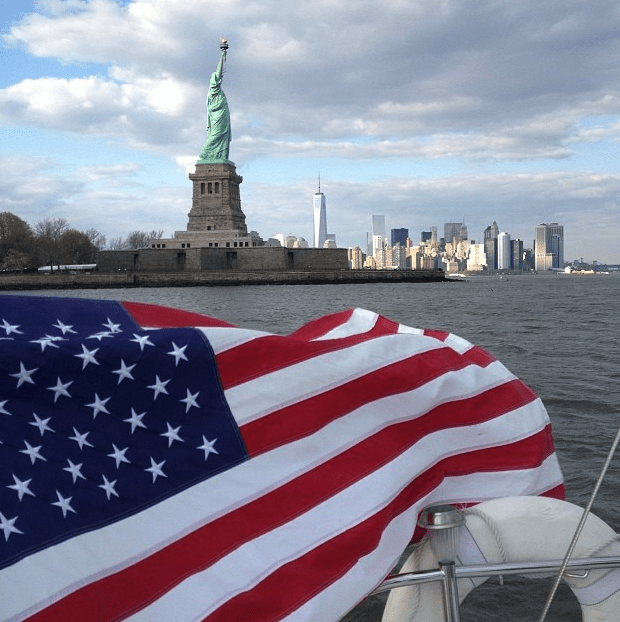 Nothing shows your excitement for Memorial Day Weekend like an American flag fixed to the back of your Sailo boat waving in the wind as you cruise around with your closest friends and family. We are very confident you will achieve nautical happiness; we just want to make sure you look your Sailo best while doing so. Check out Sailo’s pinterest board for more inspiration. Grab your boat shoes, it’s officially time to make it a Sailo #summertoremember. I loved the article and I will be following the fabulous suggestions.